On the occasion of the Kendo Collection official launch, we created – together with chef Nereo Balestriero – Grado, a special cocktail inspired by our personalities and our land in northeast of Italy. Our Paipaï sofa is on the cover of Elle Decoration UK of may. A short interview about our new works for the next Milan Design Week featured on the last issuu of MD magazine (DE). Our most recent works featured on January issue of Art and Design magazine from China. We are going to unveil “Unexpected, our new concept philosophy for the italian brand Cantarutti which also includes our new collections Obi, Palmo and Why. Chignon armchair selected by Astemia Pentita winery and featured on September issue of Wallpaper magazine (UK). A new article about the story of Aplomb recently published on the financial neswpaper Il Sole 24 Ore (IT). Aplomb Large has been included in “Marrone”, one of the seven domestic scenarios “Elle Decor Monochrome Stories” by Elisa Ossino at La Rinascente in Rome. An interesting overview of our most interesting works from South Corea. A new article about Cava tile collection by Guy-Claude Agboton and Crystal Xu on Ideat (CN). Chignon armchair has recently been granted the iF Design Award 2018, the important award in the design industry, that has been given out yearly for over 60 years . An interesting interview by Thomas Edelmann of Stylepark about Paipaï collection and our point of view on design at IMM. A nice article about our Paipaï sofa collection by Guy-Claude Agboton on Ideat (FR). 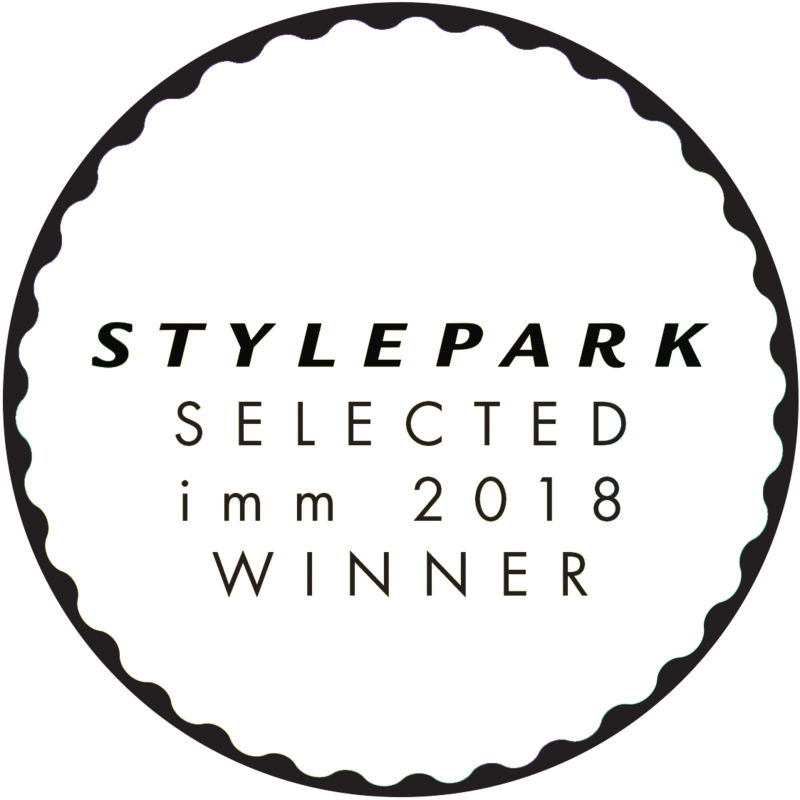 Stylepark has selected Paipaï by Ligne Roset among the 20 most interesting innovations of imm cologne 2018 in advance of the fair. The chosen products, which range from a rug to a cube-shaped light control in the bathroom, represent outstanding examples of current home design, according to our jury. All the prize winners will be on display from January 15, 2018 in the exhibition “Stylepark Selected” in the rooms of the Museum of Applied Arts in Cologne (MAKK) using 3D animation technology specially developed by the Relvão Kellermann design studio. Prize motivation: Paipaï combines a soft, enclosing backrest with a delicate subframe. We are going to present Paipaï, our very first collection of upholstered seating for Ligne Roset at IMM in Cologne and Maison & Object in Paris. 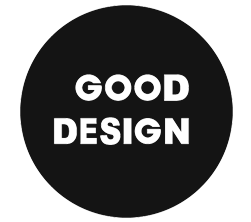 Cava collection has been awarded with the prestigious Good Design Award 2017 in Chicago. 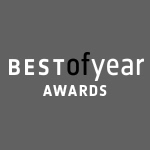 Chignon by Gebruder Thonet Vienna has been named as Honoree by Interior Design’s ‘Best of Year’ awards 2017 in the “Seating – Contract Lounge” category. A good point of view of our design on the latest issue of the swiss magazine Raum Und Wohnen. A short interview about LP story for the U.S. magazine Interior Design. Aplomb Large (Foscarini) has been selected by Design Observatory for the ADI Design Index 2017. A new article about our studio and most recent works on the last issue of the french magazine Ideat. Cava collection has been selected as “Best Product” by Iconic Design Awards 2017. Marco Romanelli and Istitituto Europeo del Rame have selected LucidiPevere among the best italian designers to develop a new object made in copper. Carlo Urbinati talks about the ““unrestricted” entrepreneurial approach that allows him to use all kinds of materials and new technology. Today we have received a special and unexpected gift. Thanks Jertta! Cento Canesio has decorated our LP chair to promote “Gold for Kids”, a project by Umberto Veronesi Fundation which supports scientific research in the field of paediatric oncology. Well done Kristalia! We invite you in Cologne and Paris to discover Backpack, our new outdoor seating collection designed for Ligne Roset. LucidiPevere featured design studio for the 2017 Jan/Feb issue of Intramuros international design magazine. New shooting for the Aplomb XL by Kasia Gatkowska. AD Magazine has included LucidiPevere among the best international designers of 2016 in the Collector issue. We are pleased to present our new tile collection Cava designed for Living Ceramics at Cersaie in Bologna. The renowned french magazine Intramuros has selected LucidiPevere as one of the 60 most important designers of the year. 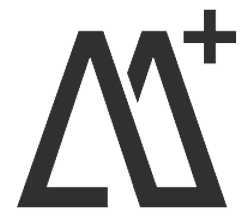 Aplomb selected for the exhibition Sempering – Process and pattern in architecture and design housed by MUDEC – Museum of Cultures…. A new article about our studio and most recent works on the last issue of the German magazine Schöner Wohnen. “How would a kid draw a house?” architect Per Franson asked himself when designing the Olivero-Reinius family home in suburban Stockholm…. Our interview by Agape with Marsiglia washtub during Milano Design Week 2016 at “The Art of Addition”. Our new airmoulded chair designed for Kristalia and recently presented in Milan, featured on Leibal blog. A nice article about our Brezel chair by Katrin Ambühl on Wohnrevue (CH). “Design Senza Designer” – A video introduction to the new work of Chiara Alessi. Shar Pei on the Italian magazine Io Donna. Lake lamp won the U.S.A Interior Design – Best Of Year for Lighting 2015. 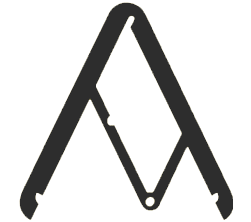 Tool (Debi) has been selected by Design Observatory for the ADI Design Index 2015. A nice article about our studio by Micheline Abi Kalil on Harmonies Décoration, Architecture & Design (LB). The highest mountain railway station in Europe with the newly designed restaurant in the Minergie-P standard sets standards for sustainability…. Our new product Noci for Interno Italiano on the italian blog of Laura Traldi. Elle Decor Italia magazine has included Shoji and Yak among the best products of 2015. We are going to present our new project Noci designed for Interno Italiano at Maison & Object in Paris. We have been called by IUAV University od Venice, to teach the final Product Design course, from October 2015 to February 2016. The name of the course will be “Innesti”. A nice interview by Bénédicte Duhalde for Intramuros magazine (FR). DDN magazine gave us “Carte Blanche” to describe our relationship with design. Poncho armchair has been selected for an installation on the Torre Velasca for Expo 2015. Stepping into Bien Fait’s new central Paris showroom, you’d be forgiven for thinking you’d stumbled into a contemporary design reverie…. Yak sofa and Shoji room divider on the July issue. An interview about Yak project now online on Domus web. Our new Shar Pei collection for La Cividina on Domusweb. Yak in the Top Ten of Milan Design Week as one of the favourites projects of Monocle magazine. We invite you Monday, 30th March – h 16.00 at Palazzo Giacomelli (Treviso) for a talk among designer, companies and university. Aplomb wall led is a finalist in the Architizer A+Awards, for the decorative lighting category. We are among “Les 100 créateurs qui comptent” in AD Magazine selection (FR). Elle Decor Italia magazine has included Brezel and Poncho among the best products of 2014. Kristalia has chosen our studio for the making of the news catalogue 2014 which also includes our Boiacca Wood table. On the occasion of the 14 Venice Architecture Exhibition, Aplomb is part of a collection of photographic images that offer an original reinterpretation of some classics by Foscarini by Massimo Gardone. We are really pleased to announce we have been awarded with a double honourable mention for our Aplomb (Foscarini) and Boiacca (Kristalia) projects. A short interview about our relationship with Kristalia. The new official video of Raphia collection on Vimeo. A nice interview by Kelsey Keith for Dwell magazine. Alburni collection on the cover of Marie Claire Maison France of april. Mimesi 62 Architetti Associati has choosen Aplomb ceiling lamps for its Decumanus caffè, a new lounge bar restaurant in Florence…. We are really pleased to announce we are the winners of the Cristalplant Design Contest 2014 with the project Canal Grande for Agape. Our Aplomb, Boiacca e Macramé projects exhibited at Design è – Spazio A ex Ansaldo in Milan. 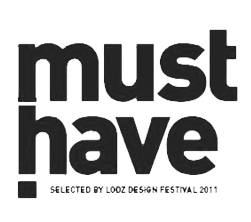 On March we will give a lecture about our work at the Design Course of IUAV University of Venice (Italy). The new official video of Chop knife by Normman Copenhagen. A video introduction to the presentation of the new book “Dopo gli anni zero” which also includes our design studio. Interior designer Francesca Neri has designed a beautiful Chalet (280qm) in Saint Moritz (Switzerland) using also Aplomb ceiling lamps. 2014 starts with two new international collaborations. Enjoy them at Imm and Maison et Object 2014! Situated in Athens, Greece, A31 Architecture recently finished this modern 45m² suite with surrounding space for the Paros Agnanti Hotel…. Boiacca (Kristalia) and Macramé (Fiam) have been selected and presented at the Triennale di Milano for the ADI Design Index 2013. Our Molas sideboard published online on trendhal.com. Paola Carimati wrote about our work on Elle Decor Italia of this month. APLOMB interpreted by Moreno Gentili, exhibited for the first time at Arsenale Bookshop on the occasion of the 55th International Art Exhibition – La Biennale di Venezia. A new video for Macramé collection. A beautiful article about our work on concrete written by Coral Hi for the chinese Design magazine (CN). Aplomb in a beautiful interior published by Wallpaper magazine (UK). Elena Sommariva describes our research for an alternative opening solution in Molas sideboard. The new official video of Lake by Foscarini. An interesting interview about our Raphia chair for Casamania by Elena Sommariva. Foscarini presents the new Aplomb lamp floor version. 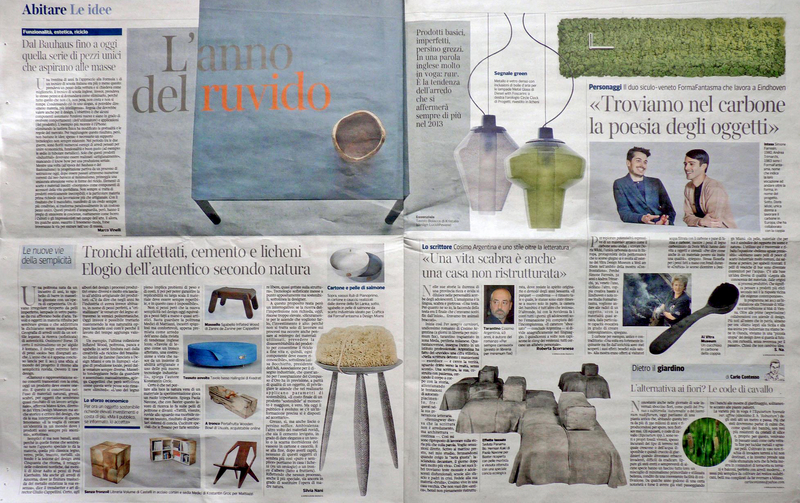 A great analysis about the new “raw” trend in furniture design written by Silvia Nani for Corriere della Sera (IT). Our recent experimental works described on La Vie magazine (CN). Polish architect Jakub Szczesny claims to have built the world’s narrowest house, just 122 centimetres across at its widest point…. A great article about Boiacca published online by Core 77 blog. A selection of the best young international talents made by the Living design magazine / Corriere della Sera (IT). We have been invited for a lecture at the Univeristy of Udine, Italy. See you there, May 17th 2012, h 09.30 room 27. We have been invited as a lecturer at the Univeristy of San Marino. See you there May 3rd 2012, h 18.00 at Aula Magna – Antico Monastero Santa Chiara Contrada Omerelli. Our Macramè collection in a nice article by Valentina Croci on Interni magazine (IT). We are really pleased to announce we are the winners of the Young and Design Competition 2012 with our Macramé collection for Fiam. Design journalist Maddalena Padovani included us in the “family tree of design” on Interni Magazine. The official video of Whisk by Normann Copenhagen. We have been invited for a lecture about the relationship between designer and company at the New Academy of Fine Arts in Milan. See you there March 13th – h 9.30. A nice article about our Boiacca Table by Susanne Lieber on Wohnrevue (CH). A detailed article about our Boiacca table written by Chiara Alessi for Domus (IT). A beautiful article about Boiacca table experimentation on Laura Traldi blog Design@Large. Aplomb in one of the 8 windows of La Rinascente for the Apartment Upside Down project by Elle Decor. Wallpaper magazine has selected Whisk by Normann Copenhagen among the best news of Maison & Object in Paris. Aplomb lamp (Foscarini) has been selected by Permanent ADI Observatory among the products nominated to the XXIII Compasso d’Oro prize. A group of experts has selected Palafitte Sofa (Comforty) as one of the most interesting Polish projects exhibited at Łódź Design Festival. We are really pleased to invite you to visit Cersaie in Bologna to see Osmos and Babele, the two main news by Glass Idromassaggio. Samsung selected us as tutors for the final phase of the Samsung Young Design Award 2011. Good luck guys! LucidiPevere guests at the second edition of “Il Salone di Batiplus” which has just ended in Lousanne. Aplomb (Foscarini) won the first prize as “Light of the Year 2011” in Germany. A nice article about concrete trend written by Laura Traldi on Interni magazine (IT). Follow us also on our new online official page updated with news, videos and photos. The new official video of Falena collection by Foscarini. The new kitchen tool edited by Copenhagen and made of bamboo and plastic will presented in Paris and Stockholm. AD Magazine included our studio among the most infuential designers of 2010. ADI (Association for Industrial Design) included us in an exhibition on italian young talents and a collection of Compasso d’Oro awarded products. Our new Aplomb lamp has been published on Dezeen web magazine. A short article about Aplomb written by Maëlle Campagnoli for ÀVivre Magazine (FR). A short article about our most recent works on lighting written by José Sánchez for Architectura Y Diseño (ES). A short introduction to the Comforty “Future classics” competition showing some moments of the company workshop. 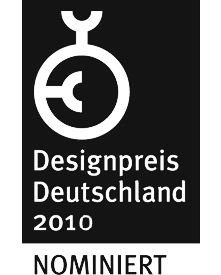 After Young & Design 2009 and Good Design 2009, Carioca has been nominated for the “Design Award of the Federal Republic of Germany 2011”. The new official video of Aplomb by Foscarini. The new official video of Bahia by Foscarini. “4 creativi sotto i riflettori”: LucidiPevere, Oscar Zieta, Inga Sempé and Raw Edge in a nice article by Luigina Bolis for Corriere della Sera (IT). The jury met in New York and selected Carioca and Yannis for a double Good Design Award. In June they will be exhibited at the Good Design Show in Chicago. After the Red Dot Design Award 2009, Core has been nominated for the “Design Award of the Federal Republic of Germany 2010”. Repeat collection has been selected by ADI Observatory and published in Adi Design Codex 06/08. Presentation of the ADI Design Codex book at le Bolle di Nardini. ADI Design Codex is a project sponsored by the ADI Nord Est delegation and coordinated by Evelina Bazzo. Randa chair presented at “A’ chacun sa chaise” exhibition, organized by VIA Valorisation de l’Innovation dans l’Ameublement in Paris. Our Core handle won the Red Dot Design Award 2009 and will be included in the Red Dot Design Museum, Essen. A nice article with front cover for Planca chair on MD magazine (DE). A nice article about our earlier works by Virginio Briatore for Interni Magazine (IT). A new collaboration has started. Cell, our first product for Terracrea is ready. We have been included by Interni Magazine among the most promising young designers from the international scene. The new Mobius product designed for Kristalia won a special mention at Young & Design 2008.